Not feeling quite inspired to jump-start your back-to-school shopping? This giveaway and these expert tips should do it. We gave two Insta-famous students the chance to win The Americana at Brand’s Back-to-School Giveaway, complete with a Herschel Supply Co. backpack, today’s leader in high-quality backpacks, and a $200 gift card. We asked them to scout The Americana at Brand and hand-select this season’s must-haves for $200 and under. Below, see what made the grade for Coury Combs’ (@fancytreehouse) mini-me kindergartener, Goldie, plus singer/model/college student Gab Current (@gabcurrent). H&M has everything this girl wants for kindergarten. She’s obsessed with the sequin shirts that can change color and H&M currently has plenty of them! We also stocked up on leggings and denim shorts. Of course, we enjoyed a Pressed Juicery Freeze break because this heat wave is not letting up! We also got a pair of TOMS from the adorable Disney collaboration, and then we were just so tuckered out that we had to hit up Shake Shack for the best cheese fries. 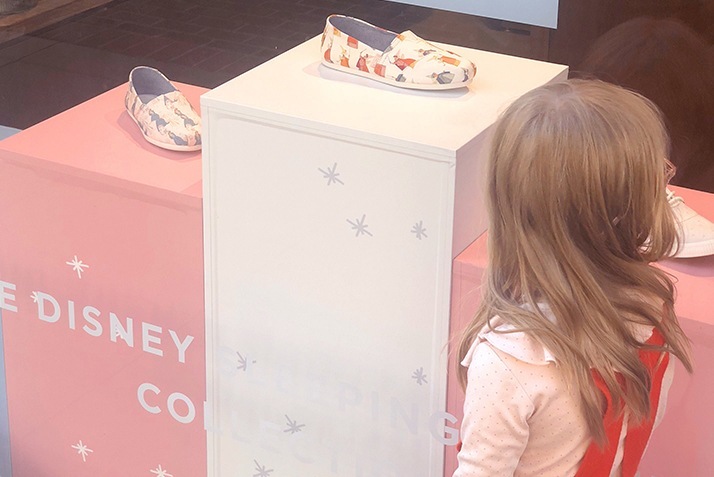 There’s no place I’d rather be and no place I’d rather make these precious memories than at The Americana at Brand. 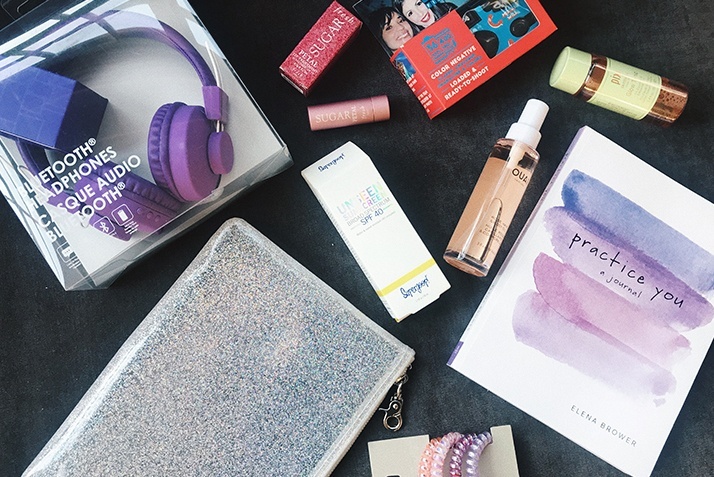 My back-to-school essentials revolve around music, skincare and glitter. I’m always listening to music, so I wanted to grab a cool pair of headphones to use anywhere and everywhere. Long days and hectic schedules can be very stressful, so I selected products that are simple, effective, and refreshing. I found a lightweight sunscreen from Supergoop!, a glow tonic to revive the face, and a perfect rose oil for both hair and body. All products can be housed in the spacious glitter bag, just in case touch-ups are required throughout the day.